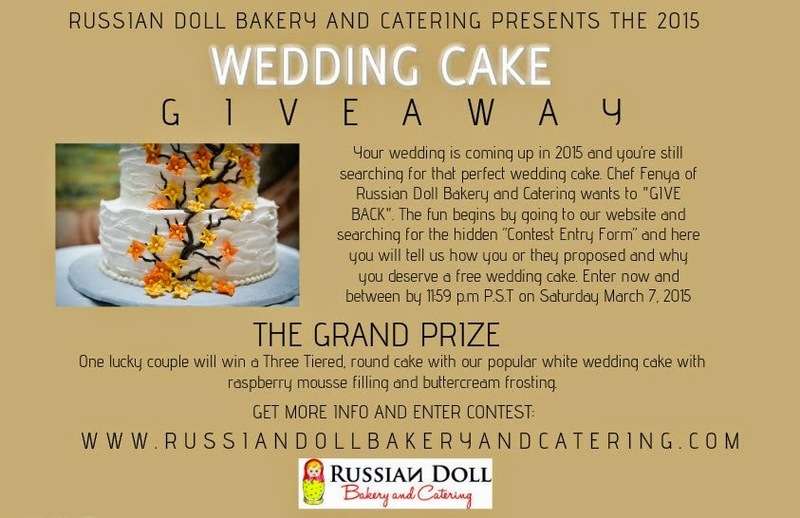 WEDDING CAKE GIVEAWAY "GIVING BACK" !!! 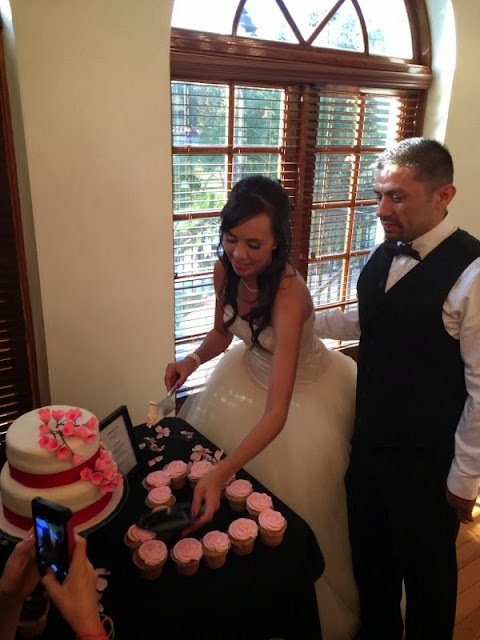 On Saturday, February 14th, Cindy Fickle and Luis Cueva had their beautiful wedding reception at the Lakeside Room in Riverside. Over 100 guests were able to attend the reception! And what a amazing event it was, Russian Doll Bakery provided the wedding cake, cupcakes and a mouthwatering buffet with baked chicken made with chardonnay and butter sauce, red roasted potatoes, rice, caesar salad and a beverage bar full of raspberry ice teas. 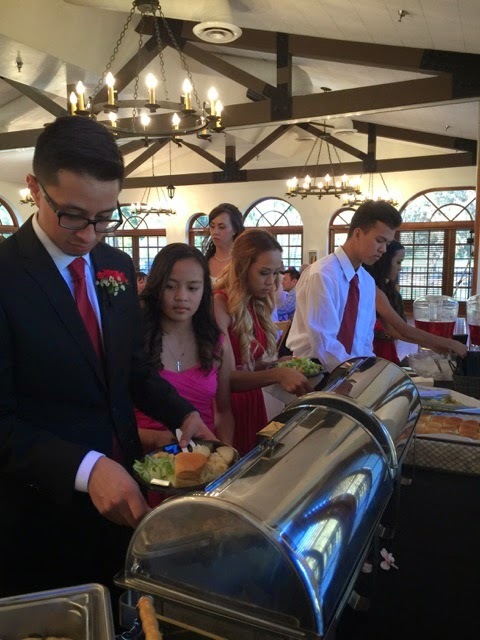 The intimate receptions were a successful and full of best of Riverside Catering service. We sure did enjoy catering this reception with the great food and cake! We made sure everyone was full and happy on this day! Cindy and Luis, and the rest of the guests were beaming the whole day! They were one of most fun events to cater. Russian Doll Bakery and Catering would like to congratulate Cindy and Luis for allow us to be a part of this special day. We wish you a life full of more dreams to come true as husband and wife! Get naked on Valentines Day with this dark hunk of love! 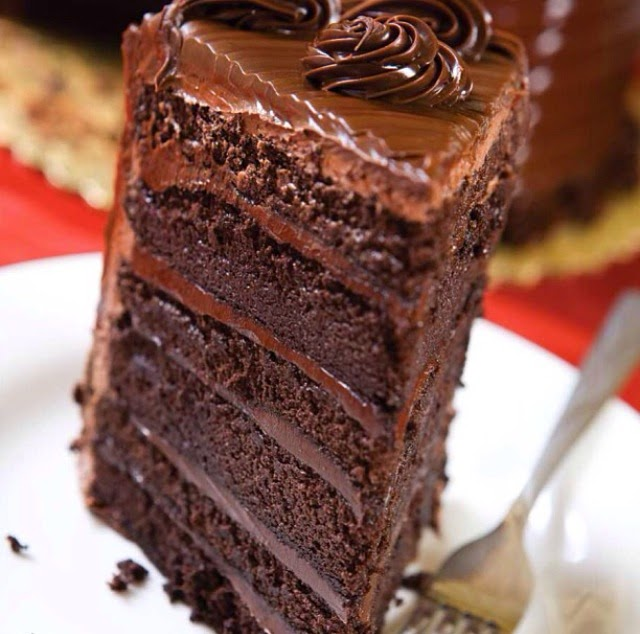 This is one of my favorite cake recipes because its super chocolaty and very moist. It's perfect for birthday's or during the week. I've been holding onto it for many years, but this year I’m giving it away to my fans and followers to share the love! In the bowl using an electric mixer with paddle attachment beat eggs on high then on low speed add yogurt, oil, vanilla and coffee. In another bowl sift your ingredients of cocoa powder, flour, sugar, baking soda, baking powder and salt and mix until combined. Pour your dry ingredients into wet ingredients and mix with paddle for 1 minute. Stop and scrap the sides of the bowl and paddle for 1-2 minutes, over mixing is ok depending if you want a thick rich cake. If you want a light cake mix until combined. Pour into a greased pan either using parchment paper at the bottom of your pan or dust with flour. Bake on 350 oven for 35-45 minutes depending on your oven. If you have any questions about this recipe or instruction, please send a comment. In my other post, recipes are hard to follow and especially baking, but I find this to be easy to make and so delicious!